Franck Montagny and James Rossiter capped off a dominating performance to record Andretti Green Racing's first overall victory in the American Le Mans Series, driving the LMP2 Acura ARX-01b. In the LMP1 class, Intersport Racing was able to end Audi Sport North America's string of 30 consecutive class victories. Richard Berry, Clint and Jon Field were awarded the win after the Audi R10 TDI car of Emanuele Pirro and Marcel Fassler was disqualified for being underweight. Racing in front of Corvette Racing's home crowd, Olivier Beretta and Oliver Gavin beat their sister car for the first time since St. Petersburg to win the GT1 class. Flying Lizard Motorsports claimed its third 1-2 sweep in the GT2 class with the tandem of Wolf Henzler and Jorg Bergmeister claiming their fourth win of the season. 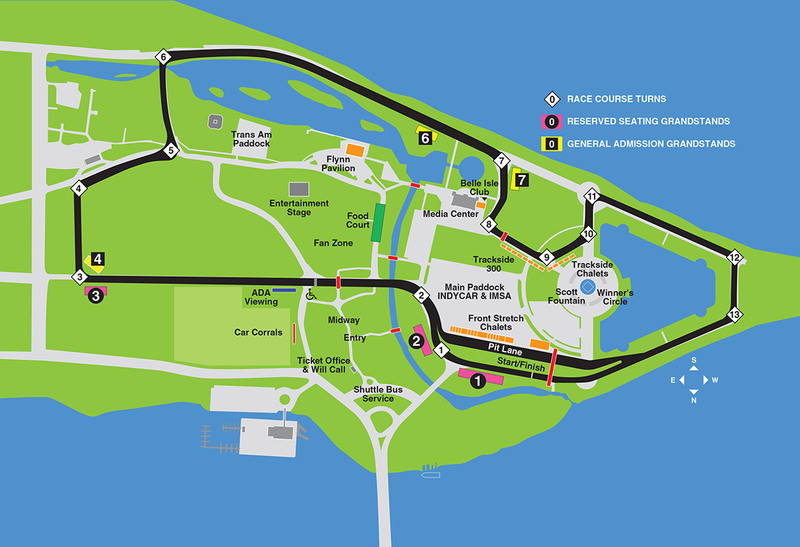 The Detroit Sports Car Challenge presented by Bosch American Le Mans Series race featured world famous automakers contending for victory in four different race classes. 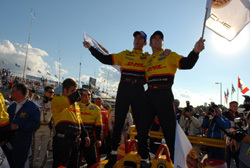 LMP2-class drivers Timo Bernhard and Romain Dumas drove their Penske Racing DHL Porsche RS Spyder to a stunning come-from-behind win over the LMP1-class Audi R10 TDI car driven by Emmanuele Pirro and Marco Werner, in the closing moments of Saturday's race. Jan Magnussen and Johnny O'Connell, in the Compuware Corvette C6.R, were the GT1 class champions, while Jaime Melo and Mika Salo brought Ferrari a GT2-class win in a Ferrari F430 GT.